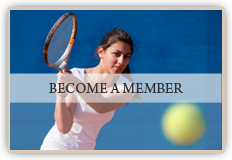 Hitters Tennis Club at Hitters SportsPlex offers a winning approach of on-court coaching led by our enthusiastic team of qualified and experienced tennis professionals. Hitters Tennis Club at Hitters SportsPlex has the functional space, equipment, and resources that no other sports training facility in Wisconsin can offer. Our training areas include our 50,000 square foot area fully equipped with six championship size courts, and two USTA Quickstart courts. Locker room facilities and lounge. If you would like to fill out a membership application form, please click here. Please Contact Joel Tennison at 608-833-4488 or Email for more information about tennis membership.